In the military the term CCC (or “C3”) is sometimes used to include “communications” as the “third C”: Command, Control and Communications . The order in which authority and power in an organization is wielded and delegated from top management to every employee at every level of the organization. 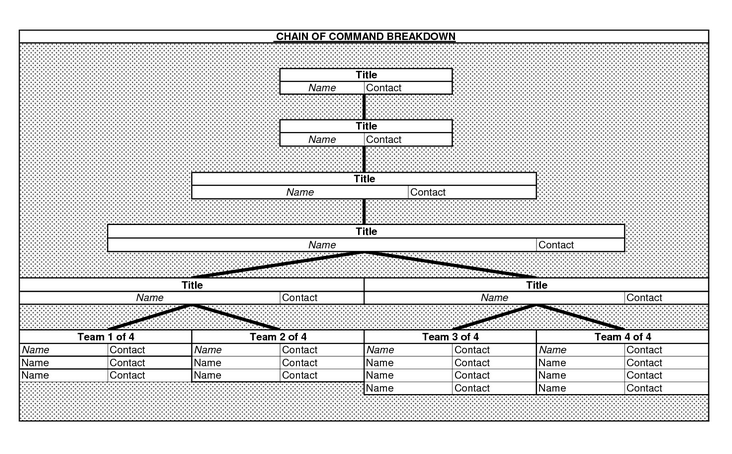 Instructions flow downward along the chain of command and accountability flows upward. Military forces are an example of straight chain of command that extends in unbroken line from the top brass to ranks. Also called line of command. strict accountability – those who issue orders are responsible for the consequences, not those who carry them out. Modern management science has focused on reducing reliance on command hierarchy especially for information flow, since the cost of communications is now low, and the cost of management mistakes is higher – especially under globalization – than at any point in the past. It is also easier to replace managers, so they have a personal interest in more distributed responsibility and perhaps more consensus decision making.